Serenia Residences, a private collection of 47 beachfront residences is focusing on unparalleled amenities and boutique hotel style services at their state of the art residences in Talpe, Galle. Serenia Residences is having a sweeping ocean view through 10-feet high oversized floor-to-ceiling glass windows, offering you a panoramic view of the ocean while their beautiful Italian-made kitchens are fitted with designer countertops, European Electrolux built-in appliances such as fully-fitted Electrolux Fridge, Electrolux Oven and Electrolux Induction Hob combined with handcrafted imported Italian cabinetry, which makes home dining a gourmet experience ! “Camagni is proud and honored to participate in a prestigious project such as Serenia Residences. 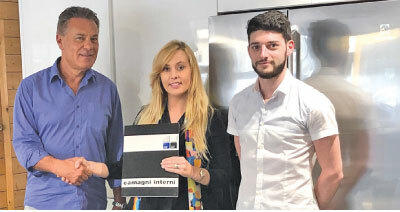 Quality, technology and excellence are the common points that immediately have created the winning entente between Camagni and Serenia Residences.Only a product that reflects the pre-eminence of true Made in Italy will live up to expectations,” said Massimo Camagni, the owner of Camagni. 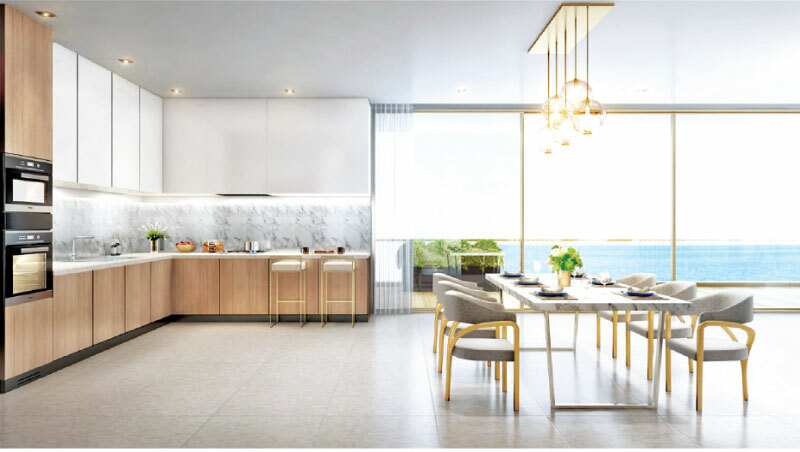 Refined finishes, clean lines, detailed arrangements and Italian craft, transform every open-plan kitchen inside of Serenia Residences to serve as the centre and heart of your home. Owners will have the choice of two distinct styles of kitchens. Modern Contemporary is white “Miami” Beach Style or Beach Chic which is a more “classic” South European Style. “It has been almost ten months since we successfully launched Serenia Residences in Talpe,Galle. We have maintained a sales momentum over the first phase of the project and we feel we have delivered on our promises made to purchasers. The project is built on a strong location, world-class amenities and finishes and a well-judged pricing which we knew would be attractive in any circumstances” said Sabina Karunanayake, Executive Director, Serenia Residences. The project has been under construction since the beginning of October 2018, and todate they are currently finishing the third floor slab with the superstructure completion in June 2019. Serenia Residences start from USD$ 320,000. Spacious floor plans range from 1,307 to 4,400 square feet, with glass walls and balconies that leave nothing between you and a captivating oceanfront lifestyle.